The Mitchell Collection has been displayed in major venues across the country. 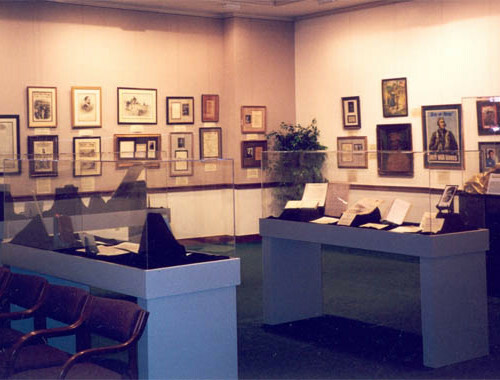 To the right is a collection of hand-written responses from visitors at the exhibit. "It is a relief to see that such a strong and amazing race can persevere....I walked away after two hours of reading, much more educated on the history of African Americans and inspired to do more research on the great leaders in their cause. I will also spread the word & recommend it to all my friends." "Very intriguing. 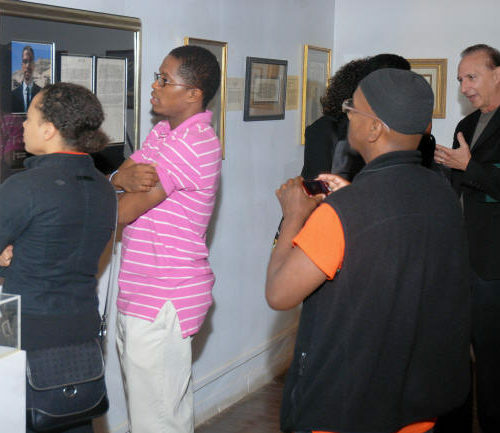 I was impressed at the extent to which your exhibit portrayed the history of black America. I was excited to share this wealth of information with my 13 year old daughter in hopes that she will not only understand the plight of our people in its past, but seek greater gains for her (and our) future." "Very valuable experience - and objects! - especially the handwritten/signed letters and notes. 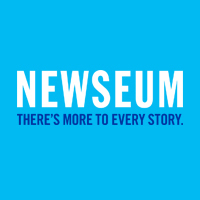 What will be the ultimate placement of the exhibit - new African-American Museum?" 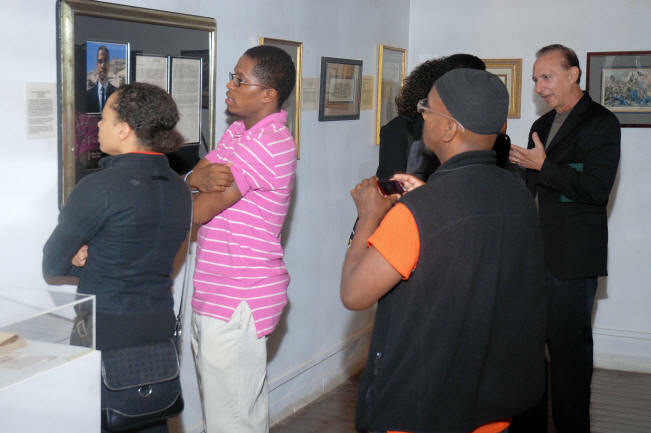 "My family and I enjoyed the exhibit of African American history tremendously. I hope this exhibit is shown throughout the country." 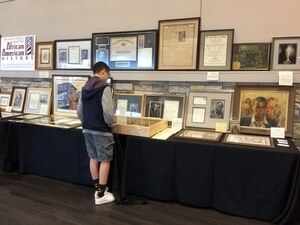 "An amazing collection beautifully displayed for us to remember all of our American history." "This display is of great quality and is beneficial to all. Some things brought tears to my eyes to be able to know what our people went through. History is a part of our past and we should all know where we came from before we know where we’re going." "Fabulous!! It leaves me starving for more." "I am a white American woman and I came to see the picture of Sojourner Truth - what an amazing woman. I was touched that anyone would work so hard to save others. The diagram of the slave ship made me feel ill. God grant we allow no one to ever go thru that again." "Thank you for sharing your outstanding collection. What an inspiration it is! I would love to have you come to Paint Branch HS and share what you have been doing with our students. 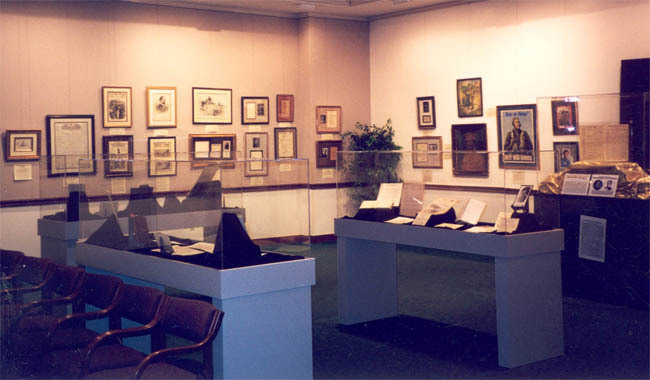 Maybe you could also bring some of your prints and artifacts to share." "A very impressive exhibit. 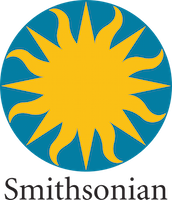 Looking forward to seeing it as part of a larger one at the Smithsonian." "This was a very eye-opening and moving exhibition. I commend you on this collection. As former Director of P.R. & Marketing for the National Civil Rights Museum in Memphis, I know what it’s like to curate such a collection. I must tell the people back home in Memphis." "This exhibit is powerful. It is always best to see what historical figures have to say for themselves rather than have someone interpret their thoughts." "An invaluable collection that all Americans should see. The Collection gives a clear perspective of where our people have been, how far we have come, and how much can be accomplished against incredible odds." 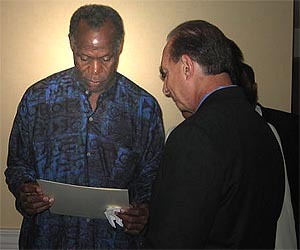 "As an African American student, I thank you for sharing the historical heritage of my ancestors. What a wealth of information which is not captured in either the school system nor our culture. My fellow students and I greatly appreciate your efforts." "A remarkable exhibit that should encourage all who view it to rethink old attitudes. May it result in the removal of barriers to brotherhood." "Mr. Mitchell, you have changed my life with this powerful portrait of history. The collective power of it impacted me to the core. I am renewed and inspired to pursue destiny while I have time." Grace Covenant Church, Chantilly, VA – Black History Month, February 2018. And back by popular demand for BHM 2019 featuring entirely different items. 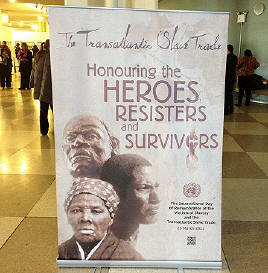 Raymond O. Wolfe, Permanent Representative of Jamaica to the UN, speaks at the United Nations Transatlantic Slave Trade exhibit marking 2012’s International Day of Remembrance of the Victims of Slavery and the Transatlantic Slave Trade. 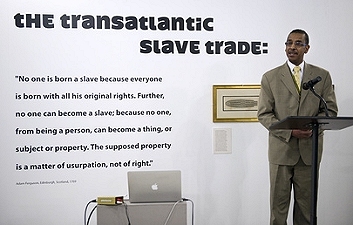 He is standing by The Mitchell Collection’s original 1789 print of a slave ship’s hold containing Africans headed for America to be sold as slaves in various countries and islands. The Mitchell Collection was honored to be chosen as a major contributor of rare artifacts viewed by hundreds of thousands of visitors. 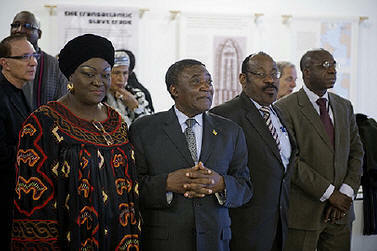 Mark with Cameroon’s Minister of Culture and African permanent UN representatives at opening ceremonies for United Nation’s Transatlantic Slave Trade Exhibit, 2012.